There's a very good chance you've heard of the social photo project Humans of New York. With more than 12 million followers on facebook, it's easily one of the most popular photoblogs around (if not blogs, period). In 2010 self-trained photographer Brandon Stanton began the Humans of New York project, hoping to create a map of 10,000 New Yorkers dotted across the five boroughs. The project's goal changed, however, when Brandon began including quotes from the everyday New Yorkers he photographed and the blog started to develop a large following. 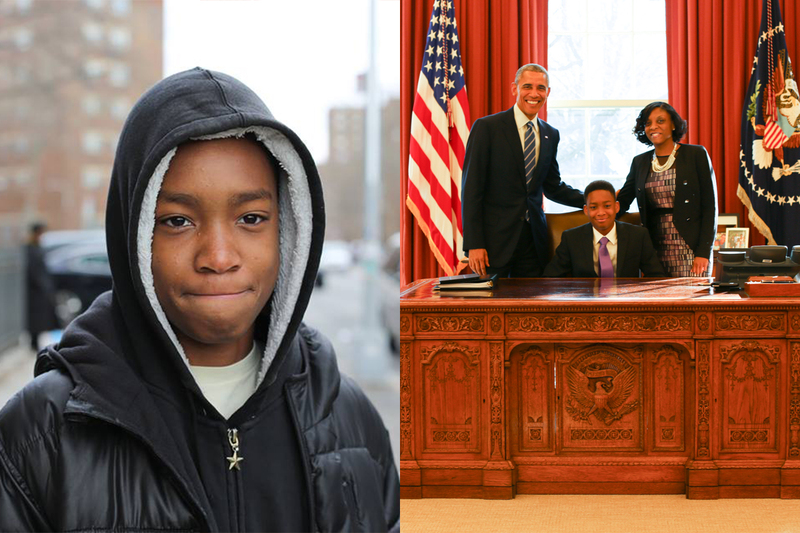 The size of that following was never more apparent than in the past month, when Brandon asked his audience to donate funds to Mott Hall Bridges Academy in the Brooklyn neighborhood of Brownsville, one of the most marginalized areas in the city, so that the students there might have the opportunity to take a field trip to Harvard's campus. The school became the focus of Humans of New York after Brandon photographed and interviewed a student of the school who praised his principal for her dedication to her students. In less than a month, more than a million dollars had been raised on behalf of the school, not only enough money to take field trips but also fund summer programs and college scholarships. Since then the story has gained coverage in just about every major media outlet and has even received support from the White House. It's amazing to think that all these great things were made possible because one person took the time to talk to another, a connection facilitated and amplified by the power of photography. It is a testament to the ways in which photography can motivate us to be better, and act as the catalyst for real, tangible change.